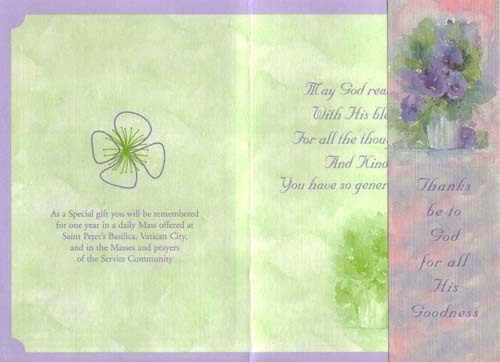 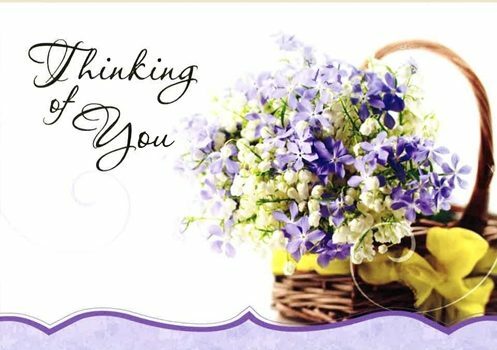 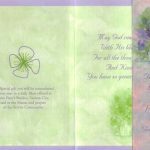 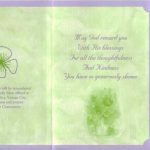 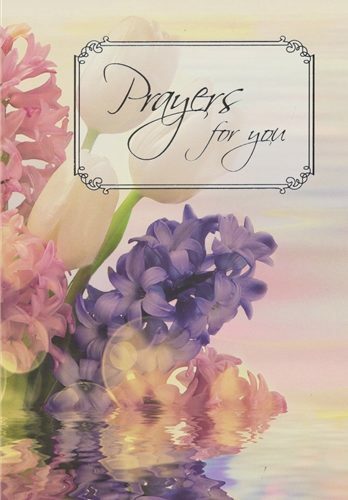 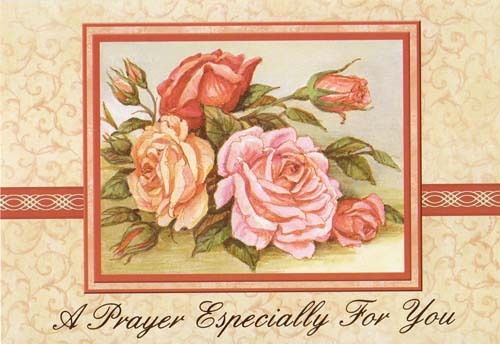 Thank friends or loved ones with this attractive bi-fold card, 4-1/2″x 6-1/2″ in size. 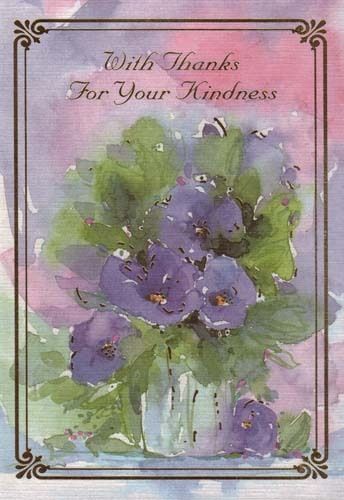 Inside copy: May God reward you with His blessings for all the thoughtfulness and kindness. 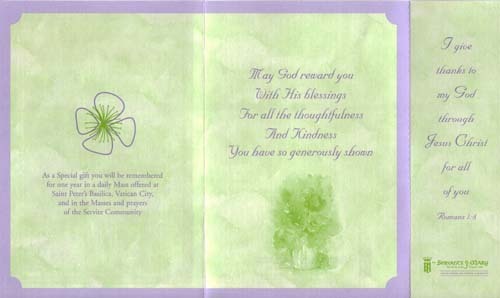 You have so generously shown.